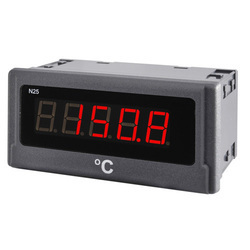 Our product range includes a wide range of swc digital indicator and sic digital indicator. SWC Indicator is a simple indicator which shows only weight. Has LED type seven segment display tare facility also provided. 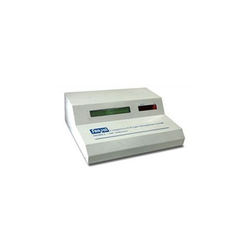 SIC Digital Indicator is specially designed to withstand all environmental conditions prevailing in the weigh cabin. The unit can operate easily at temperature. Thus no air conditioning is required for weigh cabin. The SIC Indicator is interfaced with an IBM Keyboard for data entry which is standard and available easily. Hence has an advantage over feather touch type of key/keyboards, which are custom built and have very short life. Digital O/P which sends weight directly in step of 1 kg in digital format wherein analog load cells, the output in m/v, no analog signal. In Digital loadcells, different lengths of different loadcell cables do not influence the calibration and cornering whereas this is very critical in analog load cells. Totally Tropicalised to suit harshest Indian Environment with robust IP-68 Design / Hermetically sealed. Self-diagnostic routine with Auto zero tracking, Real Time Clock (RTC), Full Tare capability. O/P of individual loadcells is displayed on indicator’s LCD screen along with total weight. Nonvolatile memory up to 20,000 dual transactions record. 101 key IBM keyboard for data entry. 13mm LED display & optional parallel 2 inches LED 7 segment Red LED display.